Today, 31,000 teachers in the nation’s second-largest school district officially went on strike. While most labor strikes are about salary increases or rule changes, this one’s a little different. That’s because of the man behind the strike, Alex Caputo-Pearl. The adversarial, 50-year-old high school history teacher has been itching for this fight for more than four years, ever since he won a landslide election to become president of L.A.’s teachers union. Now the fight he wanted is finally here, along with a gush of national media attention. How long will it last? That may depend on Caputo-Pearl, and what exactly he wants. Here’s what you need to know about him and how his leadership could affect the future of education in L.A.
Raised in Maryland, Caputo-Pearl studied political science at Brown University, and joined Teach for America in 1990, the nonprofit’s first year of operations (he later became a critic of the organization, calling it “a huge corporate giant that is damaging public education”). His first assignment was at Compton Unified. In 2001, he began teaching history at Crenshaw High, an underperforming school serving mostly lower-income students in the heart of South Los Angeles. He was popular with students but was controversial, too. When he served as union chapter chair, the administration claimed he was blocking reform efforts at the school and, in 2006, transferred him against his will. His treatment drew media attention and was heavily criticized, and Caputo-Pearl was soon reinstated at Crenshaw, where he continued to be a progressive activist and hardline union supporter. Reassigned to Frida Kahlo High School, he immediately began laying the groundwork to run for union president. According to the American Federation of Teachers’s website, he still lives near Crenshaw High, with his wife, a labor delivery nurse, and his two children. 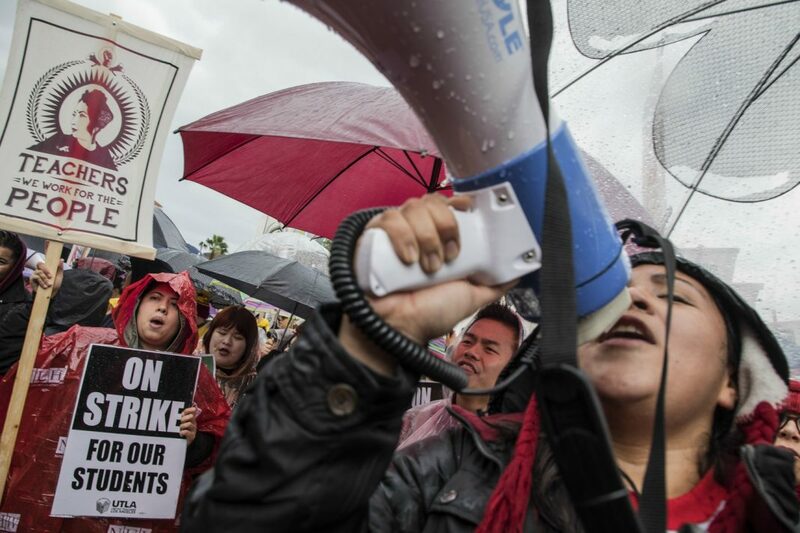 In 2014, United Teachers Los Angeles was bleeding members and losing political clout. Many union activists blamed Warren Fletcher, the union’s moderate and amiable president. In union elections that year, Alex Caputo-Pearl headed a slate of candidates challenging Fletcher. Calling themselves “Union Power,” they promised a far-more-aggressive stance against the spread of charter schools, standardized testing, and the district’s superintendent, John Deasy. They also argued that the union needed to build up its capacity to strike. If Caputo-Pearl’s victory wasn’t a total shock, its margin certainly was. The upstart earned an astonishing 80 percent of the vote in a runoff against Fletcher, giving the incoming president an impressive mandate for the conflict ahead. From the day he took office, Caputo-Pearl was threatening to strike, pledging to organize his rank-and-file members “school by school, neighborhood by neighborhood, and area by area to a place where we can strike if we feel it is necessary.” Initial victories for the union came easily. First there was the forced resignation of Deasy, brought down by his ambitious plan to buy iPads for every student and teacher in the district (critics charged that the bidding process for the plan was rigged, and that the initiative’s billion-dollar-plus price tag was far too high for a school system in such dire financial straits). In 2015, teachers signed a new three-year contract giving them a 10 percent salary bump. Unlike his predecessor, Caputo-Pearl has remained exceptionally popular among union members. When he asked them for a dues increase in 2016, they agreed, with 80 percent of the vote. The next year, he was reelected to a second (and final) three-year term, with 82 percent of the vote. And when he asked the union to authorize a strike in August 2018, members again agreed, this time with backing of 98 percent. So why has the union waited until now to strike? One reason is that UTLA has finally found the right enemy. In May, the school board named former investment banker, philanthropist, and would-be civic leader Austin Beutner (who once briefly advised a mayor, briefly ran for mayor and briefly ran the Times) as superintendent. The mild-mannered Beutner has many of the same allies that Deasy once had, and has proved to be a perfect foil for the union. Caputo-Pearl has accused the newly installed superintendent of harboring a desire to privatize public education, of wanting to “downsize” the district like a business. Beutner insists he and Caputo-Pearl want the same things—smaller class sizes, higher salaries, more support staff—but that the money simply isn’t there. For starters, he wants a pay raise for teachers. But not just a raise—the average teacher in Los Angeles makes around $74,000, and the district has publicly stated that it offered teachers a 6 percent salary bump, which isn’t too far off the 6.5 percent the union is demanding. UTLA’s biggest unmet demand is for the district to hire more teachers, nurses, and counselors, which it says LAUSD students desperately need. But the district says that its finances are in a desperate state and it simply can’t afford everything the union wants. The union insists the district is lying. An L.A. County official claims no, really, the district is about to go broke. The union accuses him of being melodramatic. And so on. (The Times had a good analysis of the dispute over the weekend). But for Caputo-Pearl, the strike might go beyond specific contract demands. More than anything, it appears he hopes that the strike and media attention it has drawn will galvanize public opinion in favor of L.A. teachers. 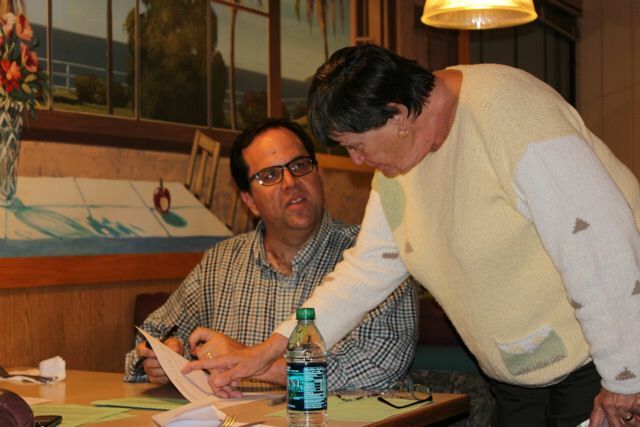 There’s a school board seat up for grabs in March (with a probable runoff in May), and he hopes the strike will boost the union’s favored candidate, Jackie Goldberg. Her win would shift the board’s ideology in a more labor-friendly direction, to the point where it might, say, place a moratorium on new charter schools, or perhaps even fire Beutner. When the strike is over, the hope is that California voters will support a significant increase in public education funding (the state spends about half of what New York spends per student). That would most likely mean a tax increase of some sort, perhaps aimed at commercial and industrial properties (and a partial repeal of Proposition 13). Why not just go directly to voters with a ballot initiative asking for more funding? Caputo-Pearl believes the strike is a necessary first step, both to build political momentum and try to make sure that if and when more money does come in, the union gets first crack at it. The School District is responsible for educating more than a half million kids every day. Will their parents see the union’s gambit as righteous or reckless? The answer will set LAUSD’s course for the next decade.